A great number of laptop users have encountered the Fn key not working issue, especially Dell, Lenovo, hp and Asus laptop users. It is intolerable for the frequent users of keyboard shortcuts. To have this nettlesome issue fixed, you can refer to the following guide. If you encountered Fn key not working on Dell laptop, this fix may be useful. Some Dell laptop users have reported it worked. It’s also a simple fix. You just need to press the Fn and Esc button at the same time to troubleshoot the issue. And then, you can check if your Fn key is workable. If you are using VAIO, you can follow the steps below to enable VAIO Event Service. 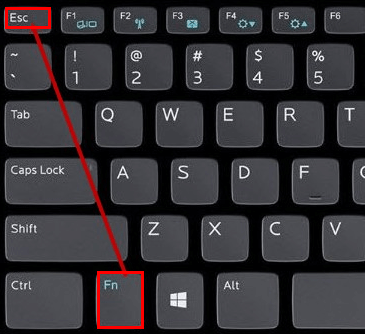 This may help you get rid of Fn key not working issue. Step 1. Press Windows + R simultaneously to launch Run dialog box. Then type “services.msc” into it and click OK.
Step2. Locate VAIO Event Service and double click it. Step 3. Locate the Startup type and set it to Automatic. Step 4. Check if the Service status is Started. If no, click the Start button below to enable it. Step 5. Click OK and Apply to save the changes. Step 1. Right click the Start button and select the Device Manager to launch it. Step 2. Find Keyboards and double click it to expand it. Step 3. Right click the device listed under Keyboards and select Uninstall device from the pop-up menu to uninstall it. Step 4. After you uninstall the keyboard driver, reboot your laptop. Then the Windows system will automatically reinstall the keyboard driver. If you have installed Driver Talent (a professional driver manager) on your laptop, launch it to perform a full scan on your laptop. It will find out all the missing, damaged and outdated drivers and help you download, repair or update them quickly and safely. If the fixes above don’t work, try to update all the device drivers. It might be the problem between the outdated device drivers and the upgraded operating system. This post is for your reference: 2 Ways to Update Outdated Drivers in Windows 10. Hope the fixes above are useful for you to fix Fn key not working issue on your laptop. If you encountered other function keys not working issues, feel free to leave comments below to let us know. To get more solutions to other peripheral issues, such as keyboard not working, gamepad not recognized, USB not working, mouse moving on its own and printer not working, you can click here.